T.E.A.L.® stands for Tell Every Amazing Lady®. 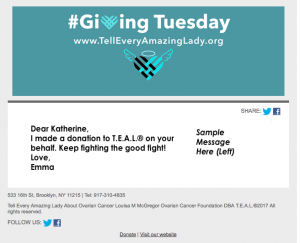 Our full name is Tell Every Amazing Lady About Ovarian Cancer Louisa M. McGregor Ovarian Cancer Foundation. Teal is the color that symbolizes Ovarian Cancer, hence the name T.E.A.L.® or Tell Every Amazing Lady®. T.E.A.L.® is a 501c3 Not For Profit started by two sisters in 2009. You can read more about T.E.A.L.®’s mission and story here. What does teal mean to you? Here at Tell Every Amazing Lady About Ovarian Cancer®, “teal” represents every amazing lady who has the courage to fight this terrible disease. But we want to hear from YOU. What is teal to you? Beautiful? Tough? Hopeful? Tell us! Print out the page below and write in an adjective that you think describes teal. Make it your profile picture and Upload the photo to T.E.A.L.®’s Facebook,Twitter or Instagram pages. 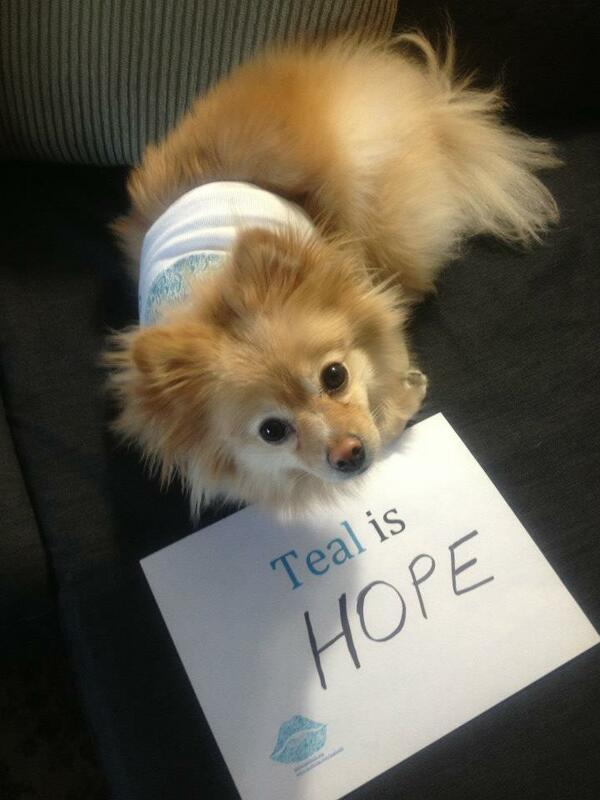 Show us what teal means to you and, as always, Tell Every Amazing Lady About Ovarian Cancer. Spread the word to help save lives!